Recently, both Apple and Google updated their support for their respective DRM Technologies in their respective device browsers. Google now supports the playback of Widevine-encrypted DASH content in Chrome on Android. Apple now supports the playback of FairPlay-encrypted HLS content in Safari on iOS. As a result of this movement, a new growing trend focuses on delivering premium content via HTML5 playback on devices without the need to deploy apps. This trend is loosely referred to as “App-less DRM” within the In-Flight Entertainment industry at large. It’s important to note that premium Apple iTunes and Google Play apps do require more development and maintenance. These investments are realized however, in the extensively long list of features and options that premium apps afford in stark contrast to using a browser as the playback platform. In this post, we hope to cover some of the disadvantages (and advantages) of following along with conventional wisdom of HTML5 Playback versus the proven benefits of Secure Player SDK’s. As Samuel Clements, aka Mark Twain famously said - "Whenever you find yourself on the side of the majority, it is time to pause and reflect." First, a bit of history. Prior to this recent addition of HTML5 playback of DRM-managed content in Safari and Chrome, the only way that one could view DRM protected content on iOS or Android was within a premium Apple iTunes app. 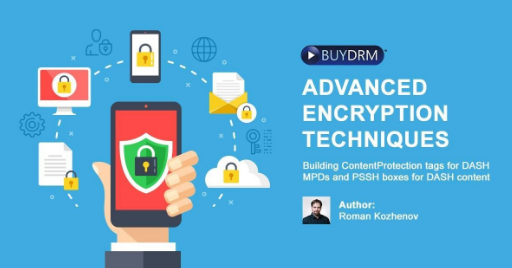 As a result, companies in the industry like BuyDRM offer Software Development Kits for Android and iOS, to deliver the playback features that consumers demand. Now, some Airlines are choosing a go to market strategy that does not include a strategy for in-app playback for the reasons we previously documented. From this perspective, one might conclude that apps are becoming a thing of the past. However, taking into account the market-proven premium app approach, that conclusion might prove to be short-sighted and ineffective. The decision to move forward with “App-less DRM” is typically based on several drivers. More often than not, this decision revolves around – getting to market quicker, and taking the pain points away from having consumers download an app in order to access the content. These shortcuts not only save time, but also money. 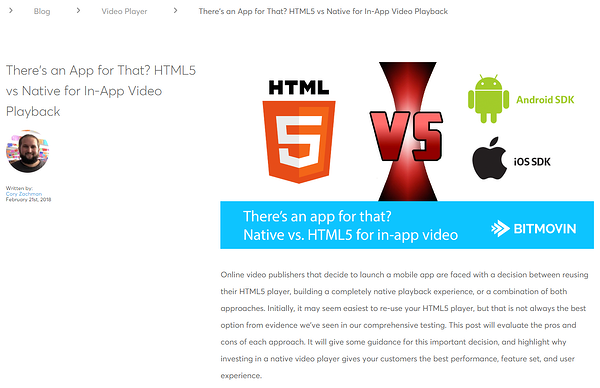 Time to Market: Reusing your existing HTML5 video player inside a mobile app requires much less initial development. An organization does not need to invest in engineers with the specific mobile development skill sets required to build a native video player. Single code base: Changes to your HTML5 video player will automatically update your mobile app as well. It is even possible to update the video player over-the-air without updating the whole native app using the app store. Low performance: Running the whole HTML5 player inside a web-view component needs more processing power than using a full native player. This also negatively impacts the battery life of your device. Also the video startup time is negatively affected as we will show later. Reduced Interaction with native app: If you want to show supplementary content based on the HTML5 player, you will need to update the app’s UI with the current video player state. Implementing a communication channel between the web player and native application is tedious and difficult to maintain. One market segment that is experiencing this conundrum is the In-Flight Entertainment. Similarly, most other transportation industries that offer premium DRM protected content to passengers are now considering these options as well. For them, the convenience of allowing passengers to access that content without the need for them to first download an app seems like nirvana…… but is it really? “The World of KeyOS: In-Flight, On-Rail, At-Sea, In-Room, On-Road"
BuyDRM’s KeyOS MultiPlay SDK’s offer an enhanced feature set that is not found natively. Probably the most important feature is a download manager and support for offline playback of DRM protected content. Using the transportation industry as an example, passengers could begin watching a piece of content while on board, and then download that content so that they could finish watching it when they arrive at their destination. This is a feature that is not available with HTML5 playback alone. The download feature also reduces strain on the IFEC system on-board the aircraft and increases the quality of the IFEC usage as a result. Other features include Multitrack Audio, Sub Titles, Picture in Picture, Ad Support, and Analytics support, just to name a few. Consumers that have become accustomed to feature rich playback of content within an app will be left wanting. Another major consideration is that within a premium app – Operators have more control. Control over feature sets, control over customer experience, and probably most importantly – a firewall between operators and any changes or tweaks made by the OEM’s. One example is that for a short while after Apple's update, Widevine protected content could be played back in-browser on iOS. That fling was short lived as Apple released a new update soon after that killed off Widevine support in Safari. Apps simply give the operator more control and the consumer a better user experience. An experience that they have come to expect when consuming premium content. Studies show that the average consumer installs 2-3 premium apps on their device a week and the average number of apps on a user device is between 30-100. An app has never been a barrier to users getting access to content. Time will tell. The consumer at large will decide. 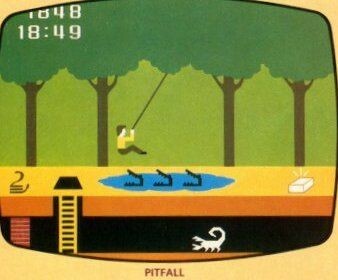 If left up to them, app-less playback will likely prove to be a pitfall. It’s quite possible that the best solution is to offer both in-app playback using premium SDK’s and in-browser playback using HTML5. This approach will let the users’ decisions prove the best path forward. We have a pretty good idea of what model will prevail and why. 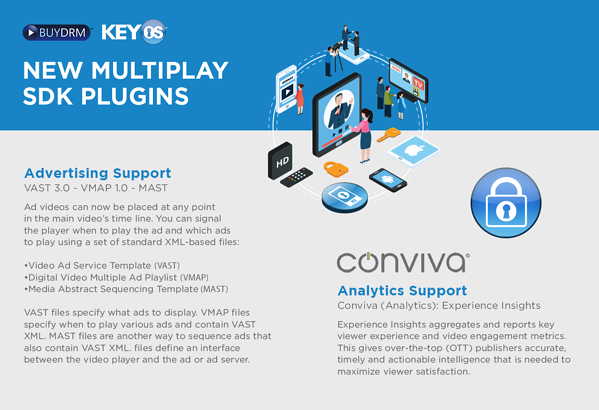 There’s solid evidence on record as to why every major video operator (Hulu, NetFlix, HBO GO, BBC iPlayer, Zee5, Prime Video) use a premium secure player SDK. To learn more about BuyDRM’s KeyOS MultiPlay SDKs for Android and iOS click and why they are good for your business, please click here.